Tick Data Suite (TDS) has been around for quite some time and although it was certainly a great tool for backtesting it was not really a “suite of tools”. It was strongly dependant on a few more utilities to get the job done. This short post is a quick “how to” guide aimed at helping you utilize TickStory Lite software to download historical tick data and perform high quality backtests on RangeBars, Renko, MedianRenko or PoitO charts. In order to prepare the necessary data, you’ll need an MT4 terminal, TickStory and a custom CSV2FXT script (included in all PRO versions) for the corresponding custom charting plug-in that you wish to use. This is a short guide on how to properly backtest EAs on Metatrader4 using Tick Data and price based charts such as RangeBars, MedianRenko, Renko and PointO. 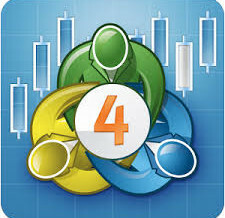 Metatrader 4 Build 574 – Where are my indicator & EA files? Up till now, range bars had one major problem – charts would look different for a specific day depending on how many days of data have been loaded from history, plus there was no way of visualizing inter-session gaps (or weekend gaps in Forex) This was unacceptable by stock and indexes traders, who needed information regarding trading session gaps. The Madian Renko plug-in has just been upgraded to the Ultimate Renko plug-in and is also available for Metatrader 5. Click here to find out more about the fantastic new upgrade of the median renko plug-in for Metatrader4 and grab your free trail version. The MT5 version is available directly from MQL5 market place. FREE copy of the Video Trade Recorder software? and claim your FREE copy of the VIDEO TRADE RECORDER for the MT4 & MT5 trading platforms. Utilize it, to add video content to your trade log! Today’s market is volatile and dynamic, and is getting increasingly difficult to predict. In order to keep up with the constant flux in the market, you would require an effective trading platform, which has all of the tools and features which are necessary when you are involved in Forex trade. Where do I learn Forex Trading? The foreign exchange market or Forex, is open game for anyone wishing to make some money based on speculation about the worth of the world’s currencies on a daily basis. For this you would have to become a day trader, whose basic job is to buy and sell financial instruments such as stocks, derivatives and currencies within the same day, making money on the profits and sometimes sustaining losses in the process. Why is Forex so popular? The Forex market has made itself popular amongst people who fancy themselves as risk-takers as it involves a lot of uncertainty which many overlook keeping in mind the rewards they can reap when their speculations on knowing when to buy and sell hit home. Ⓒ 2005-2018 AZ-INVEST. All rights reserved.